Download the latest agenda for Giving Time here. In the latest of our ongoing series of free learning and networking events we are delighted to be working with the project team who led the Giving Time research into voluteering and volunteer recruitment. 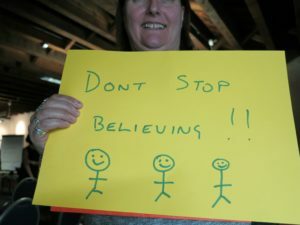 The Giving Time experiments were led by a team from four UK universities, who wanted to know whether sharing information about how others have volunteered could help to improve volunteering. 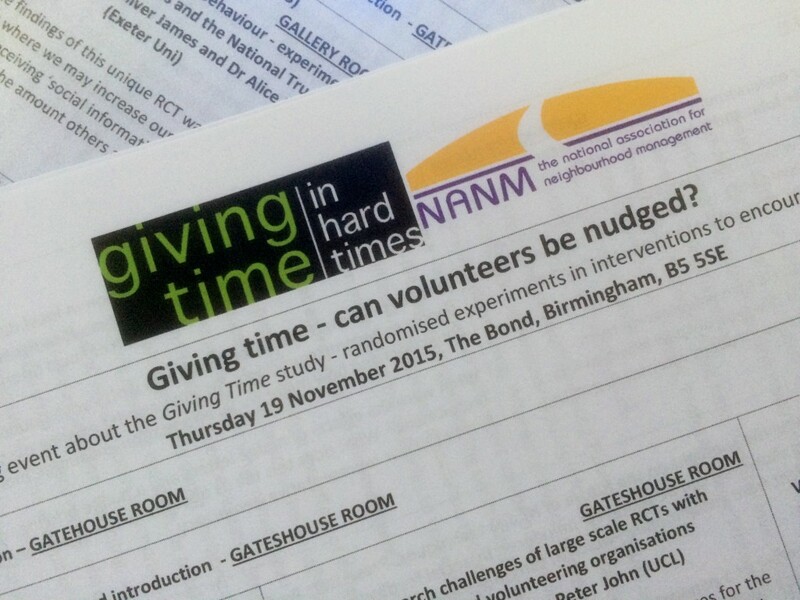 Whereas previous studies have looked at giving money, this was about giving time – and whether volunteers can be nudged. The methodology was randomised control trial in real-life field settings involving university student volunteers, Parish Councils, National Trust volunteers, and housing association residents. The research was funded by the Economic and Social Research Council (ESRC). Can social information change behaviour among volunteers – can volunteers be nudged? Is there potential for large-scale citizen-science replications of these experiments? What effect did sharing information have on time-giving in the case of Parish Councillors? What are the challenges of organising large scale RCTs for volunteering organisations? Why was peer endorsement in some cases a turn-off and not an incentive? Reserve a place on Eventbrite using this link.